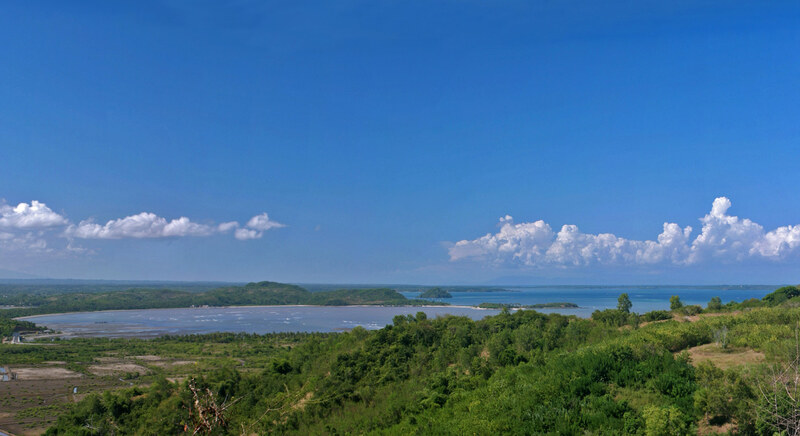 Located above Lombok’s new 1,200 hectare Mandalika Resort mega development, the Awang Ocean View project (“AOV”) is just a few minutes drive from Kuta, Lombok, and in the path of immediate growth on the booming Island of Lombok. AOV enjoys sweeping white-water views of Awang Bay and the now developing Awang Harbor to the east, as well as sweeping panoramic views of the hills and valleys surrounding the property. The AOV development consists of 16 plots of land ranging in size from 9.59 ares of land (959 Sq Mtrs) to 32.26 ares (2,326 Sq Mtrs). The project has one central interior road that provides access to all the plots. 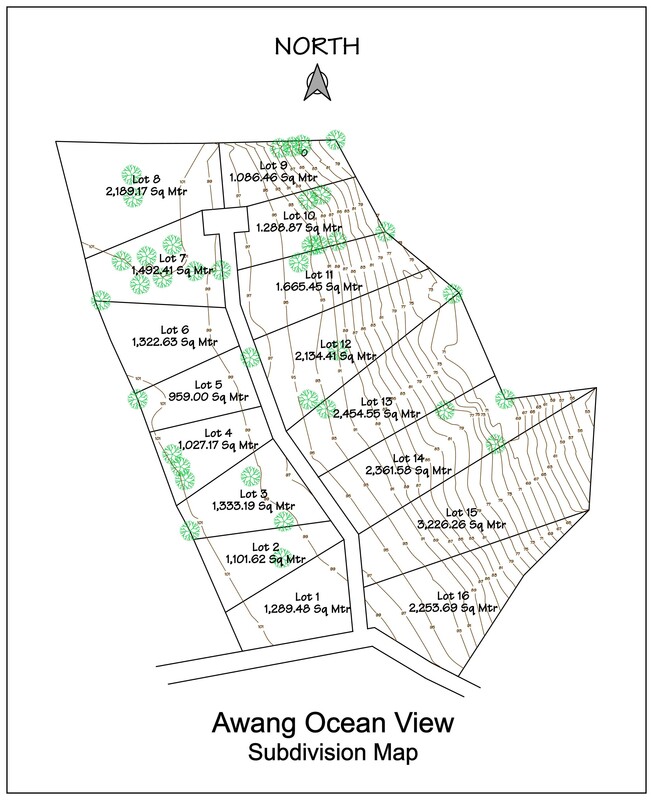 While all plots in the project haves a generous building site and unobstructed ocean views, smaller and more level lots are located a higher in the project/above interior road and the larger plots have level building sites at their upper elevations, with steeper terrain below/to the east. The project is accessed by a currently unpaved public road that connects to the paved Kuta Bypass Road (aka Jalan Sengkol or the Kuta-Awang Road) at two points on the Bypass Road – an existing road from the south side of the project, and a newly widened and graded access road on the northeast side. All plots at AOV enjoy panoramic unblockable ocean views, with the smaller/upper plots enjoying staggered building envelopes designed to further protect viewplanes. To sort the list use the Up/Down arrows at top of each column.